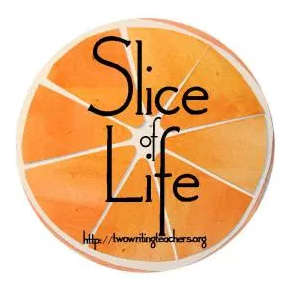 Welcome to Slice of Life Story Challenge Tuesday! I wanted to share Amy Krouse Rosenthal’s quote with you today for a couple of reasons. One reason is writing our slice of life posts is a way we can pay attention to our lives and notice what topics and issues keep coming up for us. 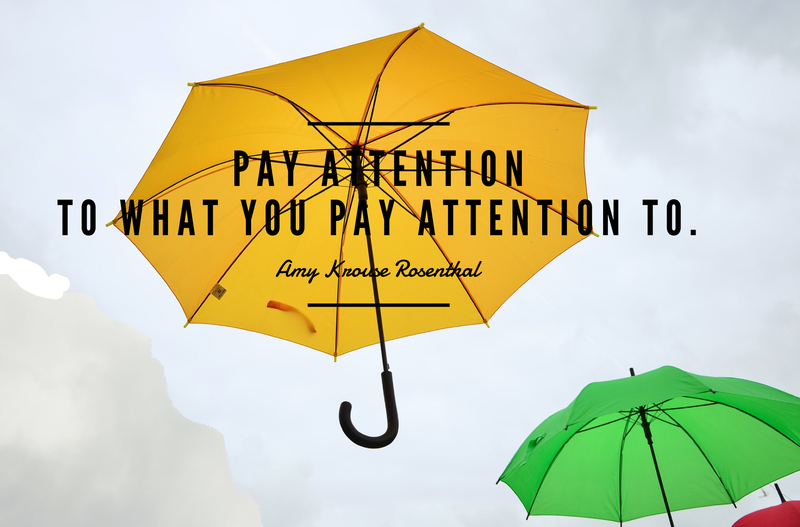 It’s a way to “pay attention to what you pay attention to.” The other reason is because this week, on April 29th, many people are honoring Amy Krouse Rosenthal on what would have been her birthday by engaging in random acts of kindness. Amy passed away in March after a battle with cancer, but her life and her writing inspire so many of us to keep alive her message of spreading loveliness and kindness. I am planning to have my class write letters to children in hospitals and mail them on Amy’s birthday. There is a Facebook group called MoreforAKR and you can see other beautiful ideas that people have planned for this day. How will your writing beckon more loveliness into our world? A wonderful way to celebrate Amy’s life, thanks for sharing. People like Amy make this world a special place. EGADS!!!!! I’m a day late! 😦 http://briankissel.weebly.com/brians-blog. Impulse shopping…and one irrestible bin that gets me every time. Love Tuesdays! I get to share my slice with this great community! I liked the lesson gone awry slice. It looked like a good lesson to me. Actually, I’ve gotten worse reviews speaking in public than at school, probably because I got longer-winded, controversial, and not WASP enough! Awesome video turned out to be a theme lesson I needed to remember today. This is a testimony to my husband’s selflessness. A little appreciation goes a long way: https://teachingwithmrsclark.wordpress.com/2017/04/25/spread-the-love/. Written as a response to a student’s blog…..
My student teaching is about over, and I’m bored. Even though there are 24 hours in each day, time seems to pass by so quickly. ‘Twas the day before state testing….and I thought I was going to lose it-my class sure was. Trying to be more consistent with my blog posts – 10 for Tuesday!!! Here is a slice about a classroom mystery I had to solve. Life has been pretty crappy lately. My uncle died from cancer Saturday and my best friend was diagnosed with cancer yesterday (she’s 35). I don’t have much writing stamina at the moment, but I wrote a poem about how I’m feeling today. The rainy season keeps going on! Pondering about my electronic writing – seeking tips on keeping it. I offer a list of suggestions for revision work from Barry Lane. April is Poetry month and I got a new bike! Thanks for the AKR quote! Hope to see lots more slicers join the Facebook group! We are finally listening to the radio in the car… and I couldn’t be happier! Sometimes certain scents take me back in time. Does this ever happen to you too? Missed photo op… or was it? I thoroughly enjoyed reading this, Erika! Food has a way of bubbling up memories! I hope to use this one as an inspiration for Monday writing in a second grade classroom or, selfishly, my own writing!! It’s a complete coincidence that my writing today was inspired by Amy Krouse Rosenthal. I had no idea that her birthday was this week of that TWT would be celebrating her this week. Pretty cool. 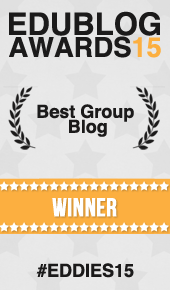 Amazing story of your collaborative work! The imprint you are leaving on teachers is changing how teachers see children, children’s work, and the expectations! Let’s keep sprinkling! Saying good-bye…sometimes it’s easy. Sometimes not so much. Encouraging teachers . . . Advice for new teachers and veteran teachers . . . What would you add? Making connections in my second grade class. It’s important to encourage young writers to step into the unknown, by going there yourself. My post today is about paying attention/not paying attention to things. It’s not in the serious vein quoted above, but a more humorous comment on the things we gain and lose.